Be prepared for all weathers as it is not unheard of to experience all the seasons in one day. Be sure to have a waterproof jacket and umbrella with you, even in summer, and in winter, you will need a warm coat and sweater. Formal wear is rarely obligatory, but people do dress up for the opera, as well as for some theatrical shows and smart restaurants. If you are visiting in summer, make sure you have enough sunscreen to protect your skin whilst visiting London attractions. For security, bring a cash card or traveller’s cheques. Before arrival, check whether your cash withdrawal card is acceptable in the UK, which many are. Bring a little British currency to pay for fares and immediate needs on arrival, as currency exchange outlets are widely available. A valid passport is needed to enter the UK. Visitors from the EU, Commonwealth countries and the US do not need a visa. Determine whether you need one by contacting the British Embassy in your country. You will need to contact your country’s embassy in London if you need to extend your stay beyond six months. Before you leave, take out a travel insurance policy that covers loss of baggage, theft and health. Although emergency treatment is usually free from the National Health Service, and there are reciprocal arrangements with other EU countries, specialist care, drugs and repatriation are costly. If you are planning to drive in the UK and are an EU citizen, be sure to bring your licence as well as registration and insurance documents. Make sure you inform your motor insurance company of the trip. Other foreign nationals require an international drivers licence. Don’t forget to set your watch to Greenwich Mean Time when you get to London, which is one hour behind Continental European Time and five hours ahead of US Eastern Seaboard Time. Daylight Savings Time is in operation so the clocks are moved one hour forward and back in summer and winter respectively. Throughout the UK, the electricity supply is 240 volts AC. Plugs are of a three-square-pin type, so buy an adaptor before leaving home. Most hotels have two-pin sockets in their bathrooms in which shavers can be used. Planning ahead when travelling with young children can help add to the convenience of a trip. Avoid travelling by public transport during peak hours. Book tickets in advance, and use a fold-up stroller. Bring any membership cards for driving or heritage organizations with links to the UK, such as the Automobile Association or National Trust, that offer discounts at many attractions. A student ISIC card is also useful. England’s other main airports are Birmingham, Liverpool, Manchester, Newcastle and East Midlands. All have direct road, rail and bus connections to and from London. Car ferries sail from northern France to other Channel ports in the south of England, as well as from Bilbao and Santander in northern Spain to Portsmouth or Plymouth. Hoverspeed operates a fast catamaran service from Dieppe to Newhaven (summer only). Passenger and car-ferry services also run to other ports around the country from the Netherlands, Scandinavia and Ireland. Slower than the tube but a cheaper way to travel, buses are also a good way to see the city as you go. To travel in the city between midnight and 6am, you will need a night bus. Most night buses may be picked up at bus stops around Trafalgar Square and the West End. London’s black cabs can be hailed anywhere; their “For Hire” sign is lit up when they’re available. You can also find them at railway stations, airports and taxi ranks. A 10 per cent tip is customary but not compulsory. Black cabs can be ordered in advance from Radio Taxis and Dial-a-Cab. Car rental is not cheap in the United Kingdom and the rates are similar amongst larger companies. Europcar and Thrifty are most likely to offer deals. Drivers must show a valid licence and be aged 21 or even 24. Walking is a rewarding option in London. The centre of the capital is not large, and you will be surprised at how short the distance usually is between two points that seem quite far apart when travelled by tube. The TFL website provides details on the time it takes to talk from one station to another. Traffic drives on the left in the UK, so take care when crossing the road, and watch for light signals. Offering advice on anything and everything from day trips and guided tours to accommodation, you will find these Visitor Centres at 1 Lower Regent Street W1, in Leicester Square and at Pepys House SE10 in Greenwich. 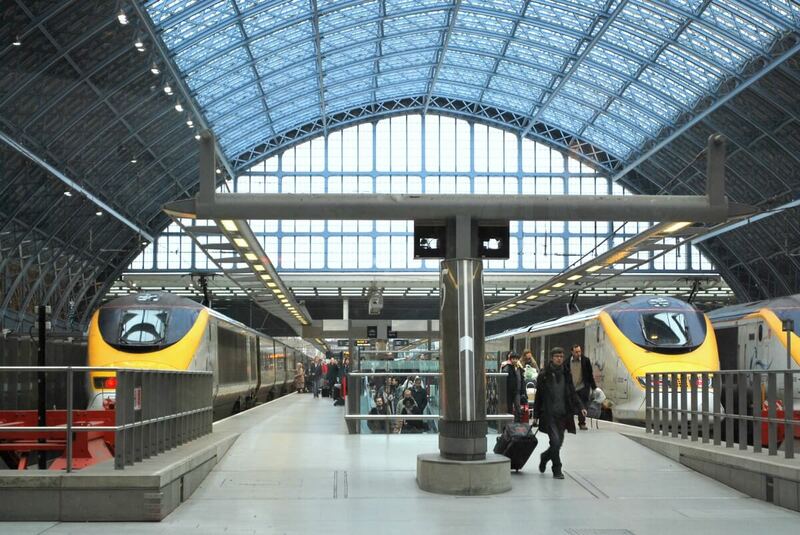 They are also located in all major train stations, such as Victoria and St. Pancras International. They stock free leaflets on current events and attractions. London hotel prices are becoming increasingly competitive, and good deals can often be found online. Good alternative is to use Airbnb, where you can find cheaper and authentic accommodation. There are five terrestrial channels in the UK: two public service channels (BBC1 and BBC2) and three commercial channels (ITV, Channel 4 and Channel 5). TVs with Freeview will get between 20 and 40 digital channels for free, depending on the reception area. These channels include, BBC4, Sky News and BBC News 24. London radio stations bring constant news and travel updates for the capital. They include BBC London Live (94.9 FM), Capital FM (95.8 FM) and LBC (97.3 FM). For current events in London, see the daily papers, particularly the Evening Standard (the capital’s free evening paper), and Time Out, the weekly listings magazine, which includes activities for children. The Evening Standard’s website www.standard.co.uk is also helpful. Visit London (London’s Tourist Board) publishes useful guides on accommodation and activities in the capital. The pound sterling (£) is divided into 100 pence (p). 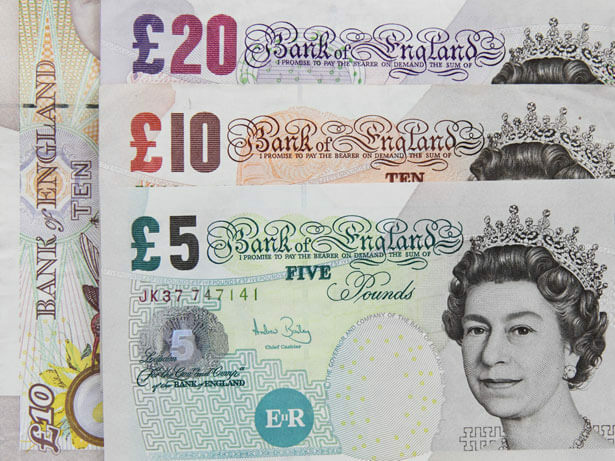 Paper notes are in denominations of £5, £10, £20 and £50. Coins are £1 and £2 (yellow-gold); 5p, 10p, 20p, 50p (silver); and 1p and 2p (copper). Opening hours for banks are generally 9:30am–5:00pm Monday to Friday. Most banks and building societies have cash machines in an outside wall. Some also have lobbies with cash and payment machines – these can be accessed by your cash card at any time of night or day. Bureaux de Change outlets are regulated, and their rates are displayed along with commission charges. These are either flat fees or percentage charges. Many offer exchange without a commission fee, but check their rates as these may be less favourable than those charging a fee. Travelex has many branches throughout London where money can be changed. Most establishments accept the major credit cards such as Visa and MasterCard (Access). American Express and Diners Club cards are less widely accepted in the UK. Credit cards are particularly useful for hotel and restaurant bills, shopping, car rental and reserving theatre or movie tickets by telephone. They can also be used to obtain cash advances, with a PIN number. Post offices and sub-post offices are located throughout London. They are generally open from 9am–5:30pm Monday to Friday and until 12:30pm on Saturday. You can also buy stamps in shops, hotels and other outlets. The main West End post office is near Trafalgar Square. Mail sent Poste Restante to this address will be kept from two to four weeks. American Express also provides a poste restante service for its customers. Most phone boxes take coins (60p minimum) and credit cards. You will need at least £2 to make an international call. If you have difficulty contacting a number, call the Operator (100) or International Operator (155). In an emergency, dial 999 or 112. The code for London is 020, which you can omit when dialling within the city. When calling from abroad, dial the access code followed by 20, omitting the initial 0. To call abroad from London, dial 00 followed by the access code of the country you are dialling. To find a number call one of the directory services listed below. For emergency police, fire or ambulance services dial 999 – the operator will ask which service you require. This number is free on any public telephone. London – like most metropolitan areas – has its share of bag snatchers and pickpockets. You should be aware of this late at night and in outlying or poorly populated areas. Look after your possessions, keeping valuable items concealed and avoid unnecessary displays of wealth. In pubs and other public places, keep hold of your bag – it is not unknown for bags to vanish from between their owners’ feet in movie theatres and bars. Some bars will have hooks affixed to the underside of tables where bags can be hung where is remains in your eye line. Avoid poorly lit back streets at night and if you are alone. There are a number of hospitals in central London with 24-hour emergency services, including dental hospitals. Emergency accident treatment may be free for visitors. Pharmacies (known as chemists in England) are open during business hours, some until late, and can give advice on minor ailments. Boots is a large, respected chain with branches throughout London. Hotels can usually suggest local dentists, and many are listed in Yellow Pages. For emergency dental work, go to Guy’s Hospital Dental Department, near London Bridge. These are around Mayfair, Belgravia, Kensington and the West End if you lose your passport, need a visa or legal advice. If travelling alone, take sensible precautions. Use busy, well-lit streets at night, don’t travel in empty carriages on trains and use licensed black cabs displaying an identification disc. Open-top sightseeing buses provide one of the best ways of getting to know London. There are several operators and a number of tours with pick-up points around the city, so you can get on and off all day as it suits you. Some companies include a cruise along the River Thames. There is a choice of boat services on the Thames but they are run by different operators and tickets are not interchangeable. It is best to buy tickets at the piers so that you can find out exactly what is on offer. Westminster and Embankment are the principal central London piers. Boats from here go up river to Hampton Court and downriver to Tower Bridge and Greenwich. Try to avoid travelling during the Monday to Friday morning (8–9:30am) and evening (5–6:30pm) rush hours when tube trains and buses are filled to bursting point and cabs are scarce. If you can, it is often more pleasant and quicker to walk. Londoners generally have lunch between 1 and 2pm, when pubs, café and fast-food restaurants fill up and sandwich bars have long lines of people. On the other hand, this can be a good time to go to smarter restaurants which try to attract lunchtime crowds by offering cheap menus. Lunch in the City tends to be earlier: noon–1pm. Although restaurants in the West End and the South Bank are generally packed with theatre-goers taking advantage of the inexpensive pre- and post-theatre dinner menus, many of these become less crowded around 8pm once the curtain has gone up. Most sights in the capital – especially the major sights, such as the Tower of London and Madame Tussauds – are less crowded early in the day. However, you will have to fight the rush hour to get there. During school holidays, London’s museums and other sights in the capital are filled with families and groups of children. In general, school holidays last six weeks in summer from the end of July to the beginning of September, with additional two-week breaks at Easter and Christmas. Sights are also crowded during half-terms: one week in February, May and October. Popular exhibitions operate a system of pre-booked, timed entry tickets in order to prevent overcrowding. Try and reserve well in advance to secure an early morning or late admission to avoid the biggest crowds. Shops and galleries in the capital often have late-opening evenings when they are less crowded than during the day. The shops in Oxford Street, for example, open late on Thursday evenings. Major exhibitions at the Royal Academy and elsewhere often stay open until late one night a week. The Victoria and Albert Museum is open until 10pm on the last Friday of each month; Tate Modern is open until 10pm on Fridays and Saturdays. London will satisfy the most ardent shopaholic. Covent Garden has the most up-to-the-minute clothes, shoes, jewellery and gifts; Oxford Street is best for large department stores, music and cheaper fashion; in Bond Street and Knightsbridge you will find all the most expensive designer labels and goods, whilst Mayfair and St James’s have the best art and antiques dealers. One New Change in the city has 60 shops spread over three floors. Shops are generally open from 9:30am–6pm through Monday to Saturday, with late-night shopping until 8pm in the West End on Thursdays and many other shops around London, and in Kensington and Chelsea on Wednesdays. Though many shops do open on Sunday, the trading hours are limited. Most shops accept major debit and credit cards and some accept personal cheques endorsed with guarantee cards. VAT (Value Added Tax) is charged at 20% and is often included in the marked price. Stores offering tax-free shopping display a distinctive sign and will provide a Global Refund form to non-EU residents for customs to validate on leaving the country. Goods purchased in shops must be fit for purchase and there are distinct rights that consumers can rely on when this is not the case. Shoppers will have some recourse if goods are faulty or damaged (this isn’t always the case with sale items). Always keep receipts so you can return any unsatisfactory items. Large stores and many fashion outlets will often have end-of-season sales in January and July when there are enormous savings to be made on many items, from furniture to fashions. Where possible, check the websites of retailers for details of sales and to find their locations. Bond Street, Knightsbridge and Sloane Street are home to high-end fashion houses. Savile Row and St James’s are famed for bespoke men’s wear. Oxford Street and Carnaby Street are good for mid-range clothes. For street fashion, visit the markets that dot London, including: Camden, Portobello, Petticoat Lane and Spitalfields. London is one of the world’s music capitals, and its music stores, such as Fopp and Rough Trade, have great selections of CDs and DVDs, including imports. Many specialist and collectors’ shops deal in vinyl, which remains popular. The main opera and concert houses also have music outlets. For sound systems, visit Tottenham Court Road. Those people looking for gifts will love Covent Garden. Large West End stores, such as Selfridges, John Lewis, Liberty, Harvey Nichols and Harrods (see Shops and Markets) have gift departments with bright ideas. Elsewhere around the city, there are shops selling designer jewellery, pottery, ceramics and household goods, many of which are designed in the UK. Interesting gift stores can also be found at the main museums, galleries and tourist sites. The major commercial galleries are in the West End, around Bond Street and Cork Street. Bonhams and Sotheby’s auction houses are also found there. You can find inexpensive art and craft throughout London. A wide range of antiques can be sought out in Portobello Road, Kensington Church Street and King’s Road (Chelsea). 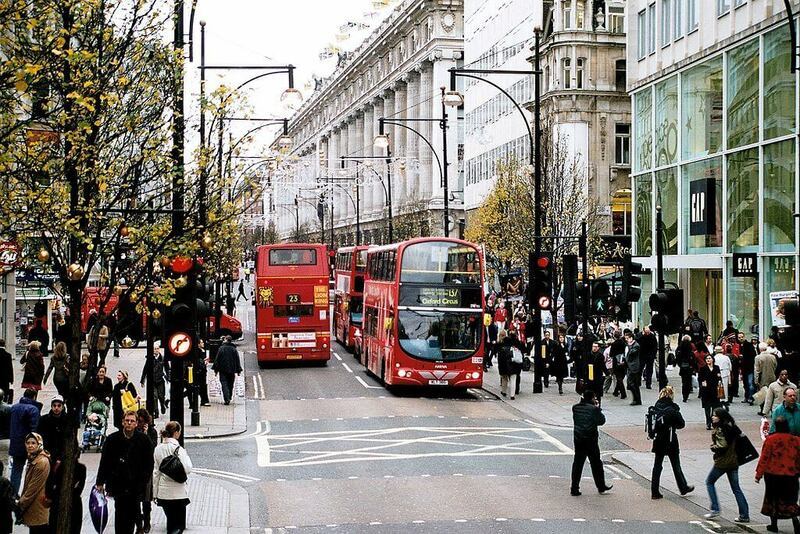 If you want to do a lot of shopping under one roof and avoid the city centre, there are several huge out-of-town shopping malls, which are situated in and around other parts of London. Brent Cross in north London is “London’s North West End”. Bluewater is an option in Greenhithe, Kent, and Westfield, Europe’s largest shopping complex, is in White City and also Stratford. Shops are open until around 8pm, though restaurants and entertainment establishments stay open later.